As kids grow, they learn all kinds of stuff, one of them is how to balance. MDG received a red Spooner balance board in exchange for inclusion to my granddaughter’s birthday guide. Made of unbreakable 3/8″ polyethylene brightly colored plastic with anti-slip strips across the top. Balance boards help develop core strength, stability, leg strength, balance, coordination, and gross-motor skills. It looks much like a large skate-board with no wheels or a small snowboard with a bit more curve. It’s a fun way to learn the basic balance skills involved in skating, snowboarding, or surfing. Use indoors on carpet and outdoors on concrete, sand, gravel, and snow. It’s ideal for adults who want to master board sports and children over 4 feet tall. Available in Black, Purple, Red and Blue. 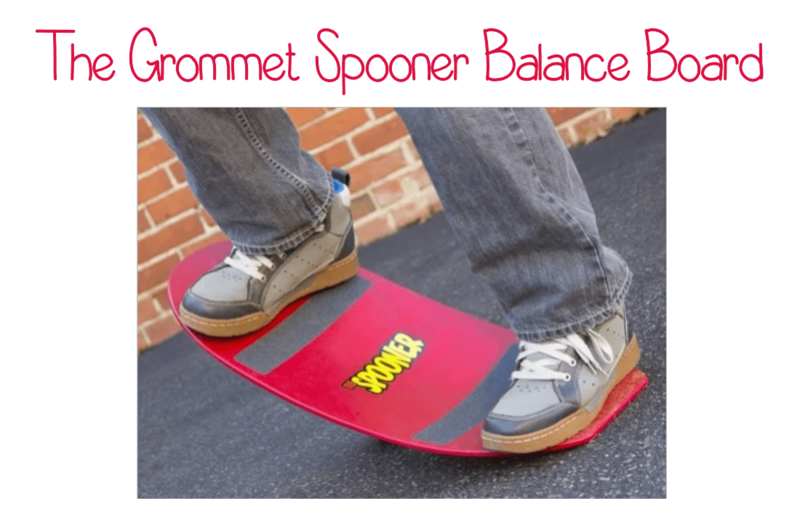 Keeping the Spooner Balance board clean is easy, just use soap and water. Designed for beginners, kids starting at age 3 can simulate spins, twists, slides, wobbles, and more. Popular with school physical education departments because of the fun and safe, high-quality workout it provides and its virtually indestructible balance board that spins, flips, slides, wobbles and more. Improves core stability, balance, coordination and gross-motor skills. Looking for a perfect birthday gift, Christmas gift, or just looking to make that special kid’s day! These are perfect presents for boys, girls, and toddlers over 4 feet tall.